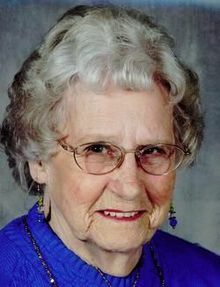 Mary Louise Cogburn, 77, of Candler, passed away on Sunday, August 23, 2009 at St. Joseph Hospital. She was the daughter of the late Ray and Geneva Davis Pressley. She was also preceded in death by her husband Wade Jefferson Cogburn, one brother, Billy Pressley and one sister, Hazel Pressley Rickman. Louise retired from BASF after more than 30 years of service. She loved camping and was talented working with ceramics, arts and crafts. Survivors include her children, James Michael Rogers and wife Darlene of Leicester, Donna Rogers Cook and husband Simon of Nashville, Randall Eugene Rogers and wife Melissa of Candler, grandchildren, Michael, Jeremy, Jason, Kevin and Aaron Rogers, Matthew and Casey Cook, one step-grandson, Derick Davis, 15 great-grandchildren. Funeral services will be held on Wednesday at 11AM in the Chapel of Faith at Forest Lawn with the Rev. Bobby Winebarger officiating. The family will receive friends on Tuesday from 6-8PM in the Chapel. To sign Ms. Cogburn's online register book please visit www.moorefh.net. In lieu of flowers memorials may be made to Mount Pisgah Baptist Church, 1730 Pisgah Hwy, Candler, NC 28715.